A selection of perfectly plain veils without beading. Some dresses don’t need any extra detailing. 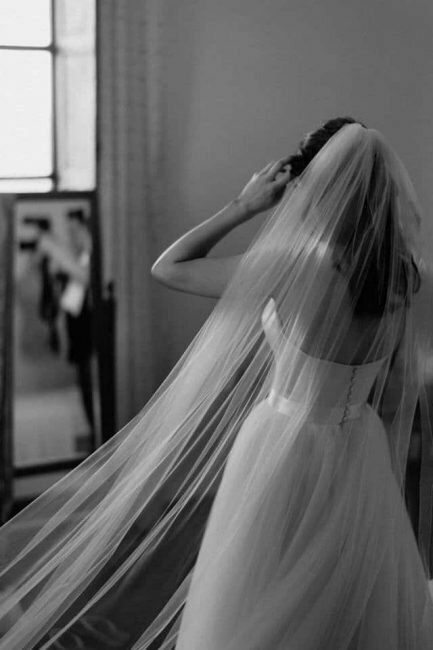 This is when a sheer, floaty plain veil that allows your dress to truly shine through is all you need. In this collection, you’ll find a beautiful array of unadorned, simple styles. For these veils, the edge trim, cut and shape are the only noticeable features. 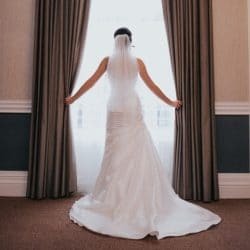 These plain veils won’t detract from your dress in any way, but they will enhance it with a sheer, gauzy layer giving you a soft and classic bridal look. Brooke is a gorgeous, light and floaty one layer chapel length veil with a simple pencil finish. Veil dimensions are 96″x108″ Chapel length – full width. 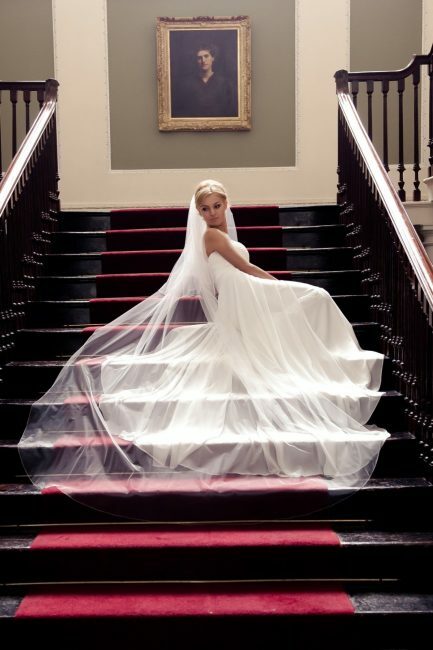 Charlotte is a single tier floor length wedding veil with a pencil edge finish. Sheer and beautiful. 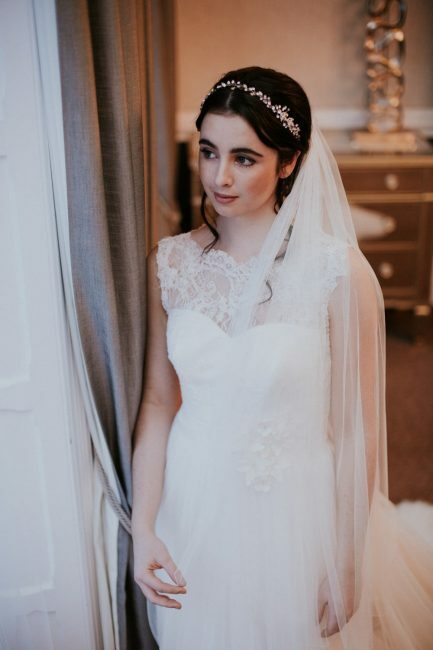 Paige is a two layer chapel length veil featuring a simple pencil edge finish. This simple style would go with any dress. Veil dimensions are 30″+96″x72″ Chapel length – standard width. This veil is centre gathered. Brittany is a two tier fingertip length wedding veil with a satin binding edge finish. Unlike ribbon, the satin binding encloses both sides of the tulle. Faith is a one layer fingertip length bridal veil with a satin corded edge finish. Amber is a pretty two layer waist length wedding veil with a narrow satin ribbon edge finish. The narrow ribbon edging flows beautifully at the cascading sides. Veil dimensions are 24”+30″x72″ Waist length – medium width. This veil is centre gathered. 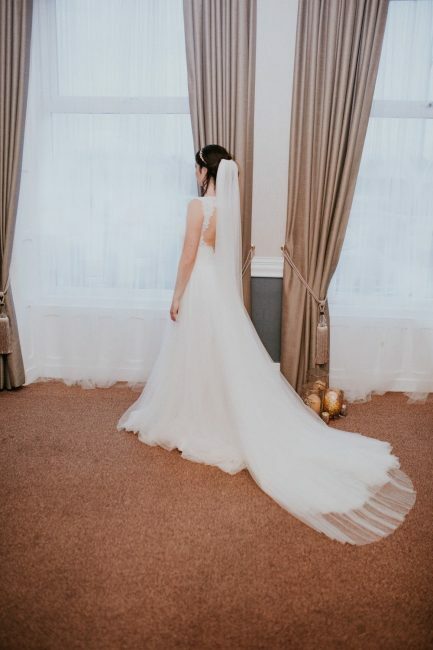 Valerie is a two layer elbow length veil with a 3mm ribbon edge finish. The minimal gathering gives a gorgeous sheer effect. Veil dimensions are 25+25″x54″ elbow length – slim width. This veil is centre gathered. 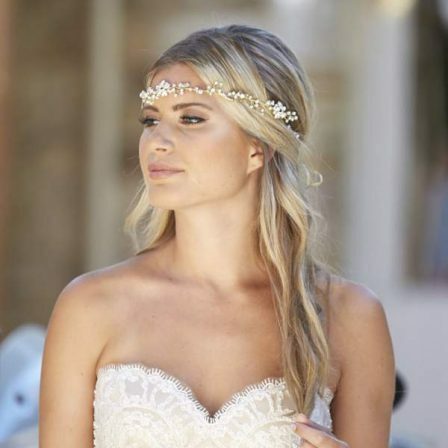 Skye is a single layer chapel length bridal veil with a hand cut edge finish. 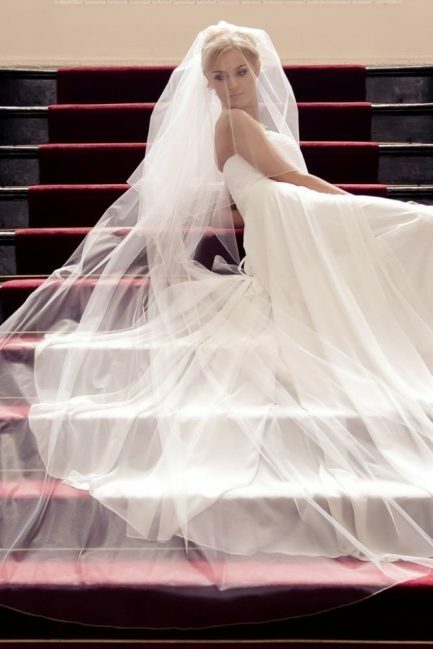 A veil that goes with any dress! 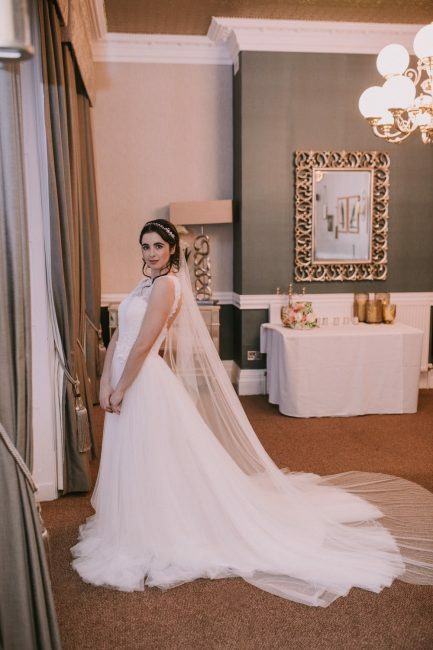 Kara is a single layer hip length bridal veil with a ribbon edge finish in our wider tulle width for a fuller look. 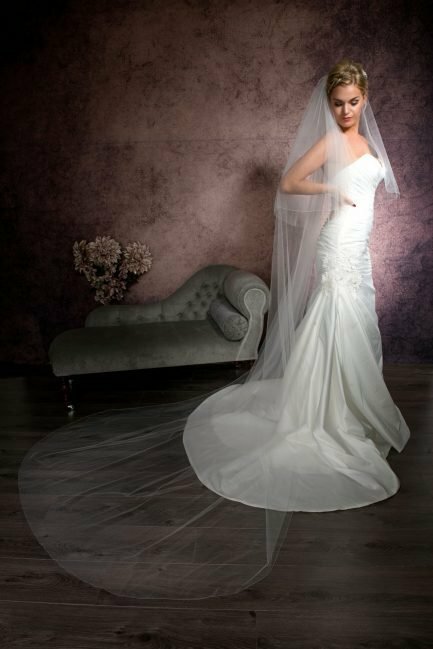 Veil dimensions are 36″x108″ Hip length – full width. 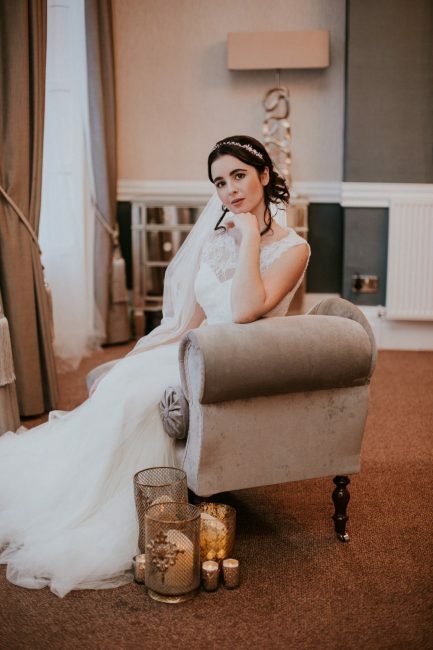 Brooklyn is a fantastic one layer chapel length veil with a pencil edge in our ivory Silk Effect ivory tulle. 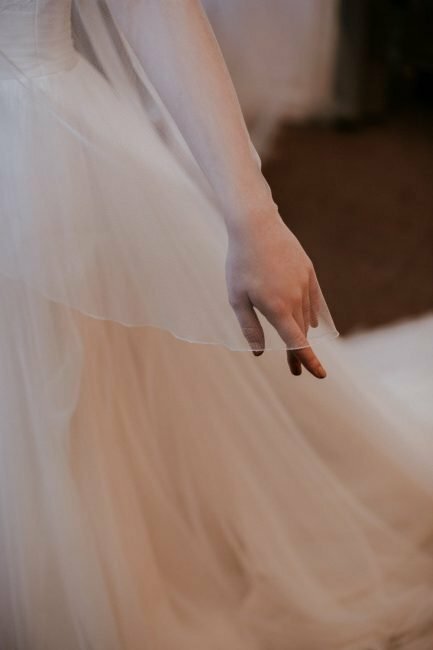 Lauren is a pretty single layer fingertip length veil in our soft draping ivory Silk Effect tulle. Available in ivory only. Veil dimensions are 42″x60″ Fngertip length – slim width. 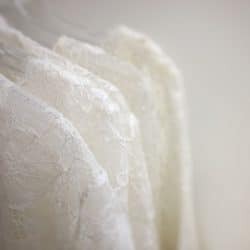 Kimberley is a two layer fingertip length veil featuring a pretty scalloped edge. Nikki is a two tier cathedral length bridal veil with a simple pencil edge finish. Veil dimensions are 30”+114”x72″ Cathedral length – standard width. 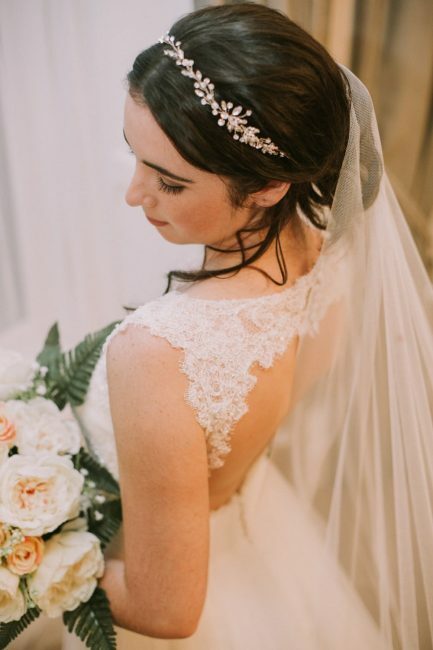 Isabella is a single tier cathedral length bridal veil with a wired finish that gives a gentle wave to the edges. Veil dimensions are 114”x108″ Cathedral length – full width. 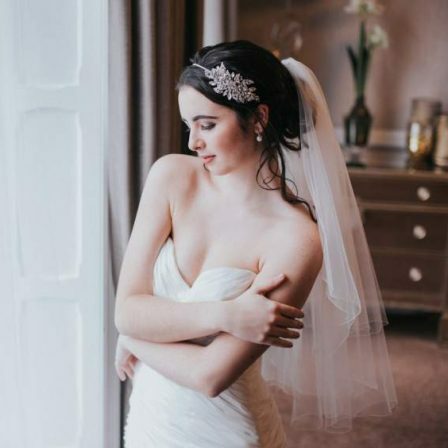 Megan is a two layer hip length bridal veil with a simple pencil edge finish. Plain but beautiful. 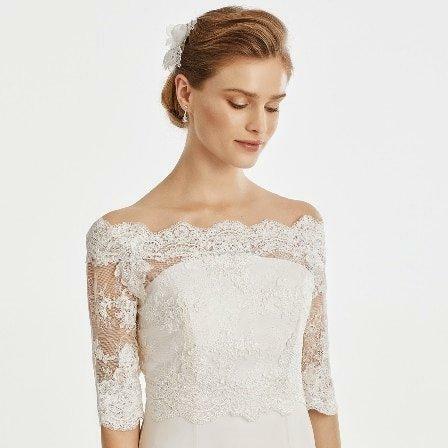 Louisa is a sheer single layer waist length veil with a simple pencil edge finish. It’s a beautifully plain veil without any additional adornment. Veil dimensions are 30″x72″ Waist length – medium width. Savannah is a pretty two layer veil in elbow length with a simple pencil edge finish. It features our simple pencil edge finish for a delicate outline. Veil dimensions are 20”+25″x72″ Elbow length – medium width.